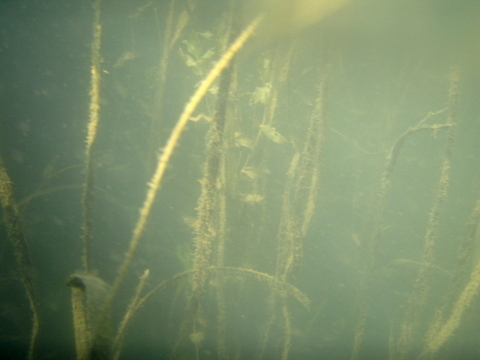 Underwater grasses or submerged aquatic vegetation (SAV), provide important habitat and dissolved oxygen for fish and aquatic invertebrates in the Magothy. 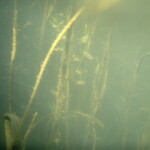 These grasses, however, need sufficient water clarity to survive. For the past several years, SAV cover in the Magothy has been low (only 9% of the Chesapeake Bay Program goal in 2015). As a result, MRA volunteers are working to restore these gasses. We have begun to experiment with floating SAV trays, which allow for SAV to grow just below the surface of the water where sunlight can penetrate, even with poor water clarity. 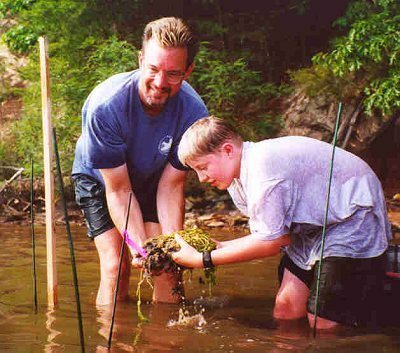 In areas with sufficient water clarity, MRA helps plant SAV in cooperation with Anne Arundel Community College. Volunteers are needed to help grow and plant SAV and to survey SAV cover by kayak in the spring.